de Almeida, L., Dorfleutner, A. and Stehlik, C. (2016). In vivo Analysis of Neutrophil Infiltration during LPS-induced Peritonitis. Bio-protocol 6(19): e1945. DOI: 10.21769/BioProtoc.1945. Bacterial lipopolysaccharide (LPS) is present in the outer membrane of Gram-negative bacteria and functions as pathogen-associated molecular pattern (PAMP) (Whitfield and Trent, 2014). LPS therefore is a potent activator of inflammatory responses leading to cytokine release and neutrophils recruitment. The lipid A moiety of LPS activates the complex consisting of the LPS binding protein (LBP), CD14, MD-2 and Toll-like receptor 4 (TLR4) and the non-canonical inflammasome-linked caspases-4, 5 and 11, which in turn activate the canonical NLRP3 inflammasome (Shi et al., 2014; Hagar et al., 2013; Kayagaki et al., 2013; Hoshino et al., 1999; Poltorak, 1998; Nagai et al., 2002; Park et al., 2009; Ratsimandresy et al., 2013). In particular, the cytokine interleukin (IL)-1β produced in response to inflammasome activation has a crucial role in neutrophil recruitment through promoting neutrophil adhesion and migration (McDonald et al., 2010).This protocol allows studying of inflammatory response induced by LPS that affect neutrophil infiltration by tracking myeloperoxidase (MPO) activity in vivo (de Almeida et al., 2015). 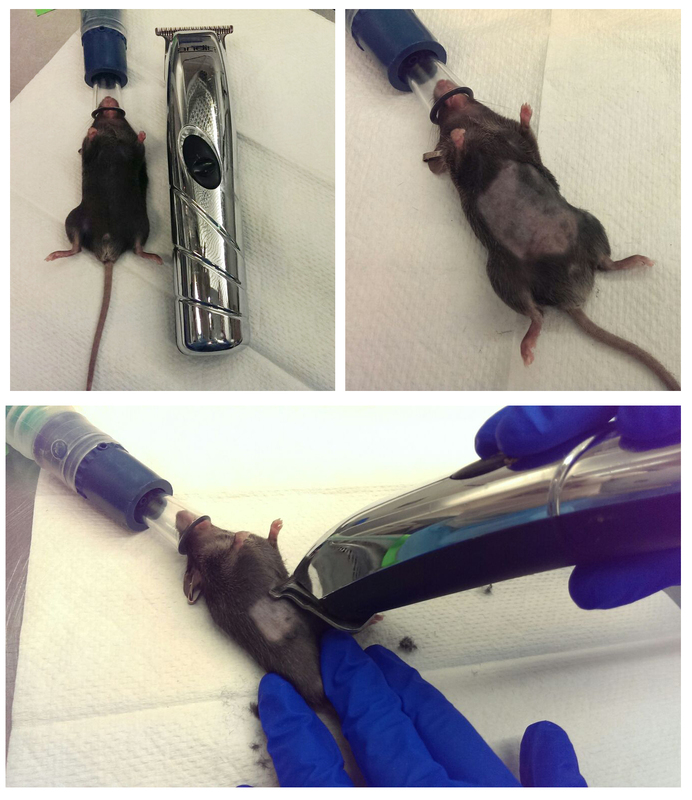 Two days before the LPS intraperitoneal injection, place mice in the anesthesia machine and once the mice are anesthetized shave abdominal area with a trimmer, as fur quenches the luminescence signal (Figure 1). In the day of the experiment dilute LPS in DPBS and prepare syringes for injection. Intraperitoneally inject mice with 2.5 mg/kg of LPS or the same volume DPBS for the control group (injection volume approximately 200 μl). 3 h later intraperitoneally inject mice with 200 mg/kg of XenoLight Rediject inflammation probe or 200 mg/kg luminol sodium salt (injection volume approximately 200 μl). Place mice in the IMPAC6 anesthesia chamber attached to the IVIS spectrum. Transfer mice to the IVIS spectrum and place mice abdomen facing up into the chamber and position each nose inside the cone that delivers the isofluorane (Figure 2). Start imaging anesthetized mice 10 min post XenoLight Rediject inflammation probe injection with a 5 min exposure capturing in vivo bioluminescence generated by the activity of MPO as a marker for infiltration of neutrophils. In order to imagine 5 mice select field of view D and select 1.5 cm subject height (Figures 2 and 3) (Gross et al., 2009; Tseng and Kung, 2012). Quantify the MPO signal using the Living Image software. 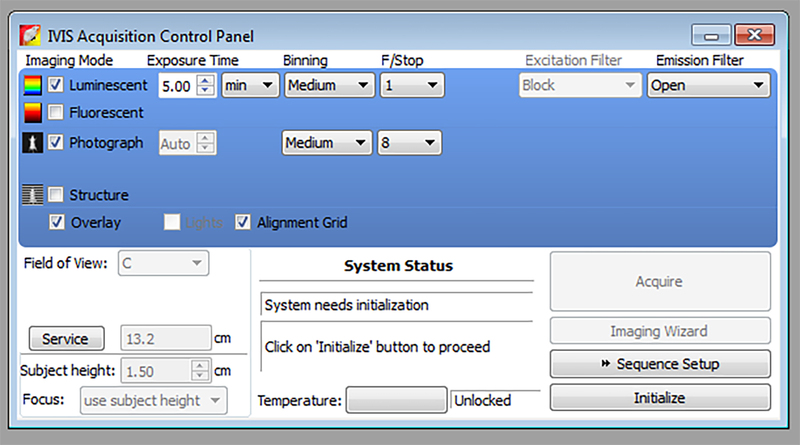 First select region of interest (ROI) using ROI tools and choose to automatically draw measurement ROIs and perform ROI analyses to measure photon radiance. Also measure background ROI and subtract from your ROI measurement. Use average radiance to plot your graph. Filter sterillize with a 0.22 μm filter and aliquot stock solution at -80 °C. Prepare 20 mg/ml luminol sodium salt stock solution in DPBS. Note: Luminol sodium salt for injection has to be prepared fresh each time in DPBS (20 mg/ml), filter sterillize with a 0.22 μm filter and protected from light until use. This protocol was adapted from a previously published study (de Almeida et al., 2015). This work was supported by grants from the National Institutes of Health (AI099009 and AR064349 to C.S., AR066739 to A.D., AI120625 and AI120618 to C.S. and A.D., T32AR007611 to L.d.A., and the American Heart Association 13GRNT17110117 to C.S.). Gross, S., Gammon, S. T., Moss, B. L., Rauch, D., Harding, J., Heinecke, J. W., Ratner, L. and Piwnica-Worms, D. (2009). Bioluminescence imaging of myeloperoxidase activity in vivo. Nat Med 15(4): 455-461. Hagar, J. A., Powell, D. A., Aachoui, Y., Ernst, R. K. and Miao, E. A. (2013). Cytoplasmic LPS activates caspase-11: implications in TLR4-independent endotoxic shock. Science 341(6151): 1250-1253. Hoshino, K., Takeuchi, O., Kawai, T., Sanjo, H., Ogawa, T., Takeda, Y., Takeda, K. and Akira, S. (1999). Cutting edge: Toll-like receptor 4 (TLR4)-deficient mice are hyporesponsive to lipopolysaccharide: evidence for TLR4 as the Lps gene product. J Immunol 162(7): 3749-3752. Kayagaki, N., Wong, M. T., Stowe, I. B., Ramani, S. R., Gonzalez, L. C., Akashi-Takamura, S., Miyake, K., Zhang, J., Lee, W. P., Muszynski, A., Forsberg, L. S., Carlson, R. W. and Dixit, V. M. (2013). 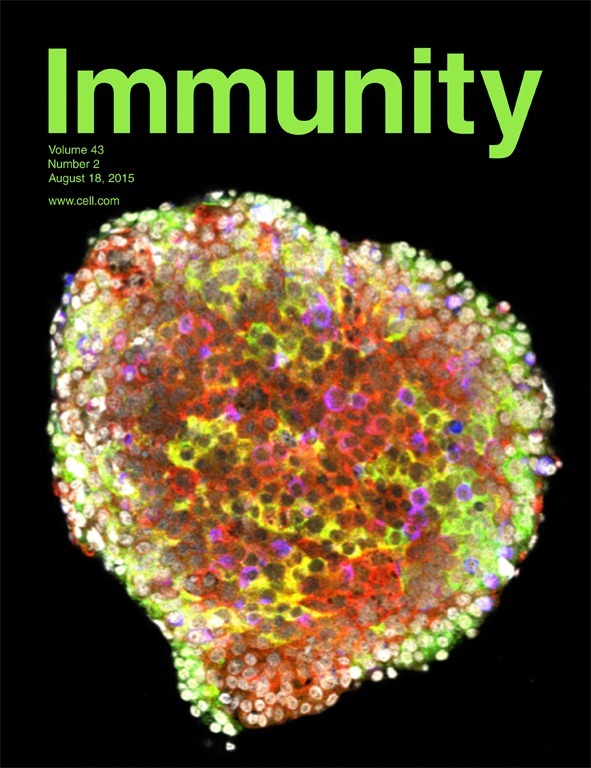 Noncanonical inflammasome activation by intracellular LPS independent of TLR4. Science 341(6151): 1246-1249. McDonald, B., Pittman, K., Menezes, G. B., Hirota, S. A., Slaba, I., Waterhouse, C. C., Beck, P. L., Muruve, D. A. and Kubes, P. (2010). Intravascular danger signals guide neutrophils to sites of sterile inflammation. Science 330(6002): 362-366. Nagai, Y., Akashi, S., Nagafuku, M., Ogata, M., Iwakura, Y., Akira, S., Kitamura, T., Kosugi, A., Kimoto, M. and Miyake, K. (2002). Essential role of MD-2 in LPS responsiveness and TLR4 distribution. Nat Immunol 3(7): 667-672. Park, B. S., Song, D. H., Kim, H. M., Choi, B. S., Lee, H. and Lee, J. O. (2009). The structural basis of lipopolysaccharide recognition by the TLR4-MD-2 complex. Nature 458(7242): 1191-1195. Poltorak, A., He, X., Smirnova, I., Liu, M. Y., Van Huffel, C., Du, X., Birdwell, D., Alejos, E., Silva, M., Galanos, C., Freudenberg, M., Ricciardi-Castagnoli, P., Layton, B. and Beutler, B. (1998). Defective LPS signaling in C3H/HeJ and C57BL/10ScCr mice: mutations in Tlr4 gene. Science 282(5396): 2085-2088. Ratsimandresy, R. A., Dorfleutner, A. and Stehlik, C. (2013). An update on PYRIN domain-containing pattern recognition receptors: from immunity to pathology. Front Immunol 4: 440. Shi, J., Zhao, Y., Wang, Y., Gao, W., Ding, J., Li, P., Hu, L. and Shao, F. (2014). Inflammatory caspases are innate immune receptors for intracellular LPS. Nature 514(7521): 187-192. Tseng, J. C. and Kung, A. L. (2012). In vivo imaging of inflammatory phagocytes. Chem Biol 19(9): 1199-1209. Whitfield, C. and Trent, M. S. (2014). Biosynthesis and export of bacterial lipopolysaccharides. Annu Rev Biochem 83: 99-128. How to cite: de Almeida, L., Dorfleutner, A. and Stehlik, C. (2016). 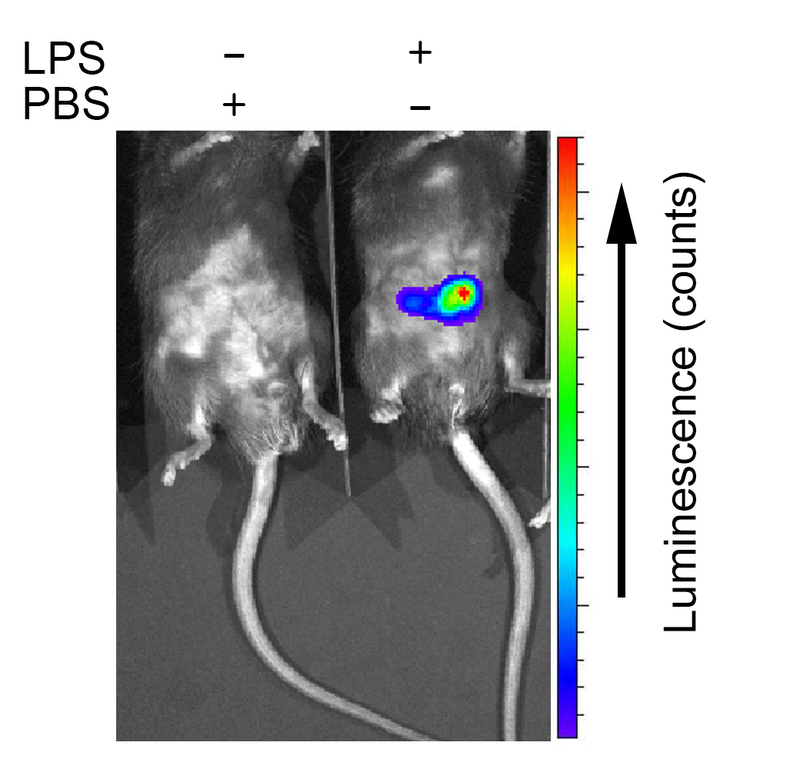 In vivo Analysis of Neutrophil Infiltration during LPS-induced Peritonitis. Bio-protocol 6(19): e1945. DOI: 10.21769/BioProtoc.1945.